The Keystone XL pipeline was dealt a blow in a Nebraska court this week when a key enabling law was ruled ‘unconstitutional’ – bringing the controversial project to a standstill in the state. 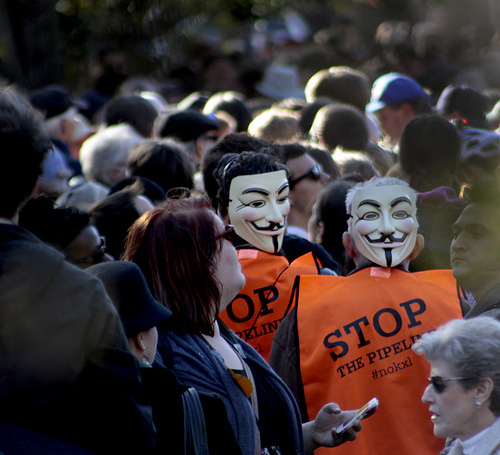 A court has struck down the Nebraska law that allowed the Keystone XL pipeline to proceed through the state. Lancaster County Judge Stephanie Stacy issued a ruling Wednesday that invalidated Nebraska governor Dave Heineman’s approval of the route. Stacy said that the decision should have been made by the Nebraska Public Service Commission. The ruling has put an indefinite halt to the proposed pipeline, which would carry oil from tar sand pits in Canada to refineries in Texas. The landowners who brought the lawsuit argued that the law violated the Nebraska Constitution by giving regulatory control over pipelines not to the Commission, but to the governor and the Department of Environmental Quality. Read the rest of my article published in The Ecologist.